electricity capacity. The country still depends a lot on polluting thermal power plants to power its industries and homes. So it represents a huge market for solar energy which can capture the electricity growth, as well as replace fossil fuel burning power plants. 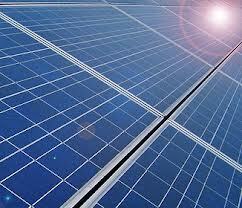 USA has shown impressive solar installation growth in the past few years like other parts of the world. Despite imposing stiff duties on imports of Chinese solar panels, solar installations have kept growing at a rapid pace thanks to the super low prices of solar panels. The mix of government incentives and lower prices have made USA one of the top 3 solar markets in the world. However, the regional nature of the demand growth is a bit worrying for the future. Most of the solar demand comes from California, Arizona, North Caroline and New Jersey. These cannot be sustained as some states like New Jersey have seen a collapse in the SREC market, due to an overbuilding of solar plants. Also the utility centric nature of the USA market is not a good trend in my opinion. Trend over the world has been towards a democratization of the power generation by building of solar rooftop plants on homes. However, huge power plants using solar modules continue to be built in the USA. To sustain the USA solar growth, installers should focus more on the states with low penetration of solar energy such as Florida and Texas. These states have massive solar insolation and almost negligible solar energy penetration. The monopoly power of utilities such as Southern Power should be broken up as they are preventing the growth of solar power in states like Georgia. Solar leasing companies like Sunpower , SolarCity, SunRun are doing an excellent job in providing an alternative financing option to home owners. Hopefully with their growth, other states may see the light in promoting green solar energy. The growth in utility-scale PV power plant projects is expected to support another year of record PV installations in the US.According to a new report from NPD Solarbuzz, the US market is set to install around 4.3GW in 2013, nearly a 20% increase over 2012. Driven primarily by utility-scale projects, the market research firm expects PV installations to surpass 5GW in 2014.NPD Solarbuzz noted that nine states will account for more than 85% of all US solar PV demand in 2013.The utility-dominated ground-mount segment will account for the remaining 68% of new PV demand this quarter.Currently, utility-scale PV projects in Arizona, California, New Mexico, and Texas are expected to drive US demand above 2.5GW during the second half of 2013.Strong year-end contributions will also come from Hawaii, Massachusetts, Nevada, New York, North Carolina, and Ohio, according to NPD Solarbuzz.